If anyone happens to see this and has a Jakks Spring and/or Winter Deerling plush for sale I would love to adopt them. See I had an Autumn Jakks Deerling (my favorite form) and wasn't planning on getting the others. But then I was at TRU and the poor Summer form was on the floor... Anyway, I picked it up and it ended up coming home with me. Also interested in Venipede and Whirlipede MPCs. Two months after the order was placed, Another fine tee has finally delivered my damn shirt. I'm annoyed about the delay but relieved that money didn't go to waste. Plus I seriously love this shirt. Hopefully we can make some good memories to make up for how long it took to get to me. My babies!!! They're so soft and nice. I feel a bit bad because I like Espeon just a tiny bit more. 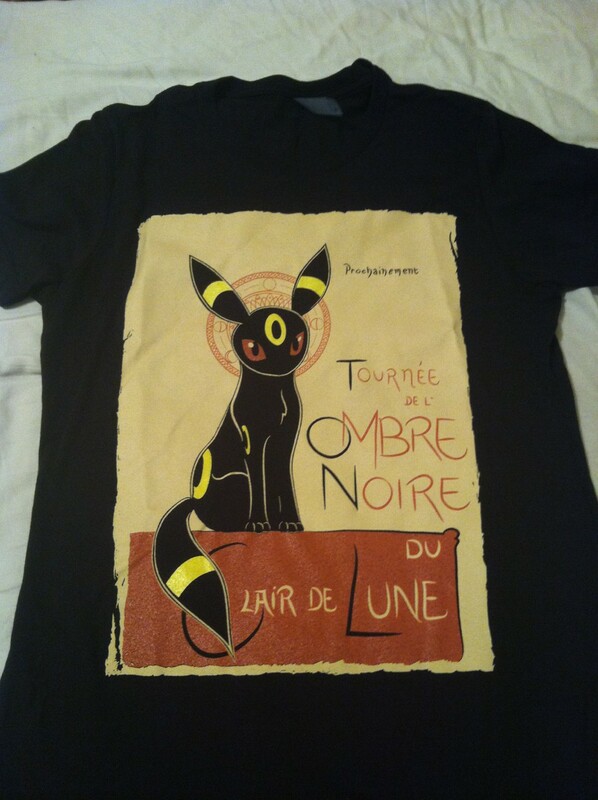 Why does Umbreon always have to be Mr. Grumpers? The Blastoise PokeDoll arrived today. 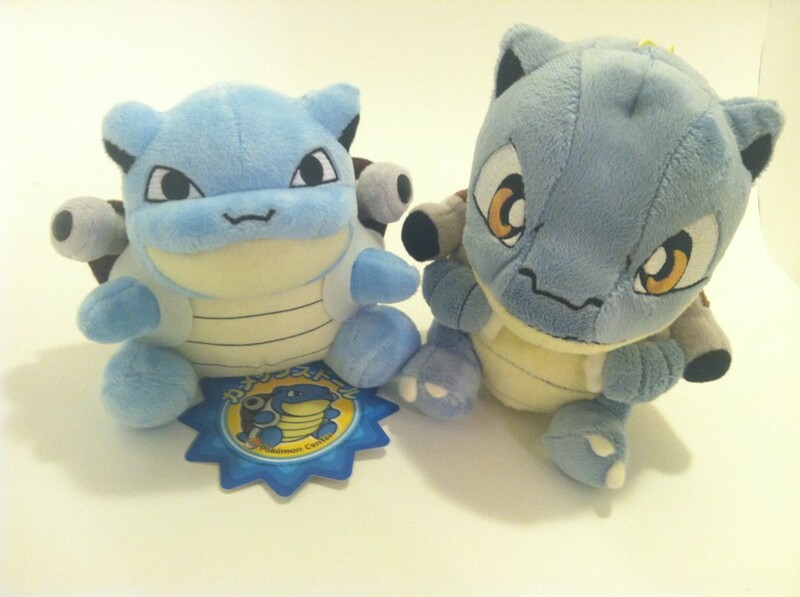 Of course, my favorite Banpresto Blastoise Bruno had to come see the new arrival. They're both so cute! 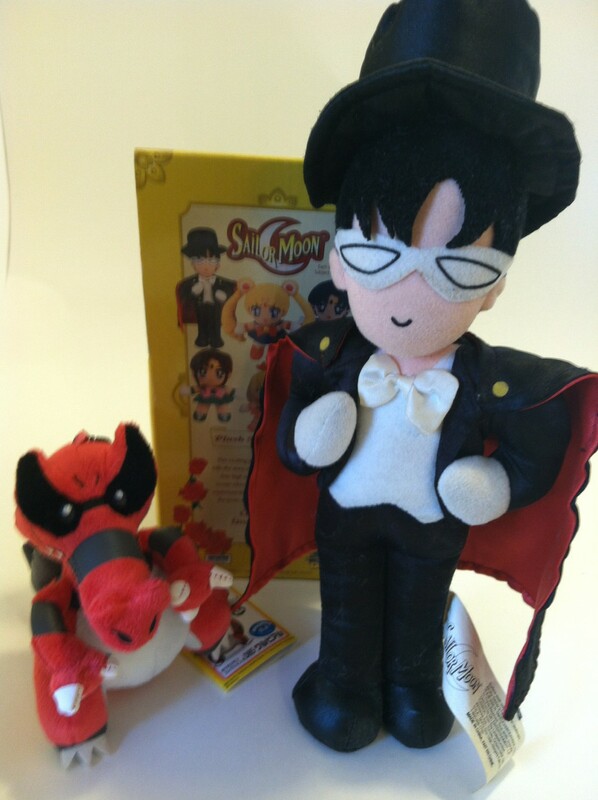 The Banpresto is still my favorite but the PokeDoll is crazy adorable too. 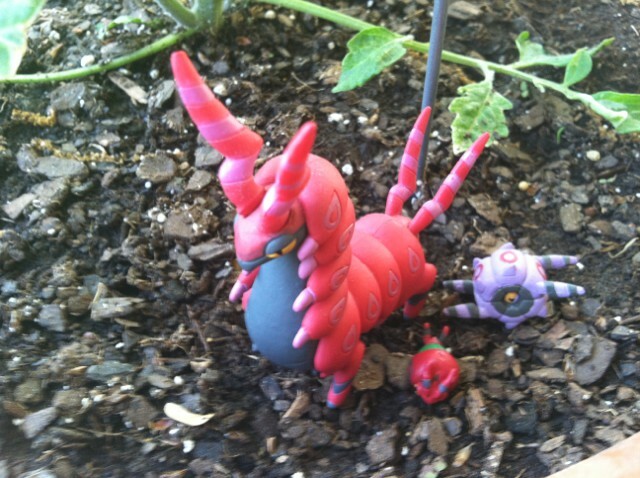 My lovely purple bugs in zukan form. The Venipede piece is so small I worry about losing her. 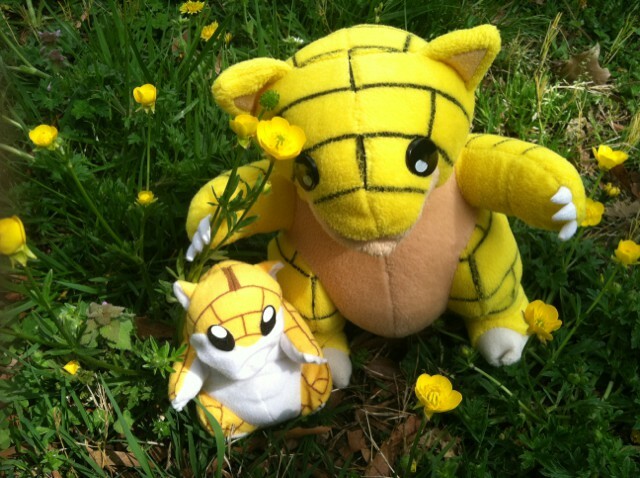 My cutie pie Sandshrew girls- Swift and Star (Star is the mini one)! I've always associated Sandshrew with the attack Swift. So that's where the names come from. They look cute amongst the yellow flowers. Such a cutie! 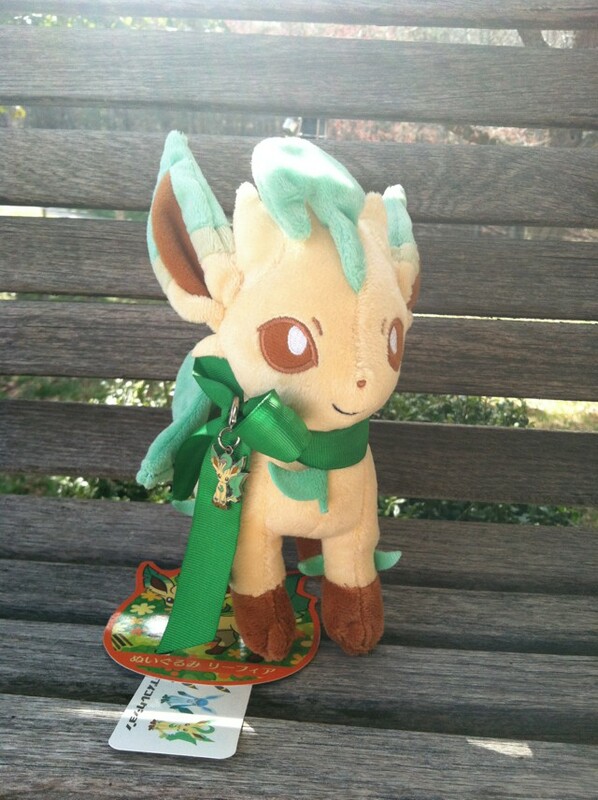 Now I can hang my Leafeon charm somewhere other than the bulletin board. 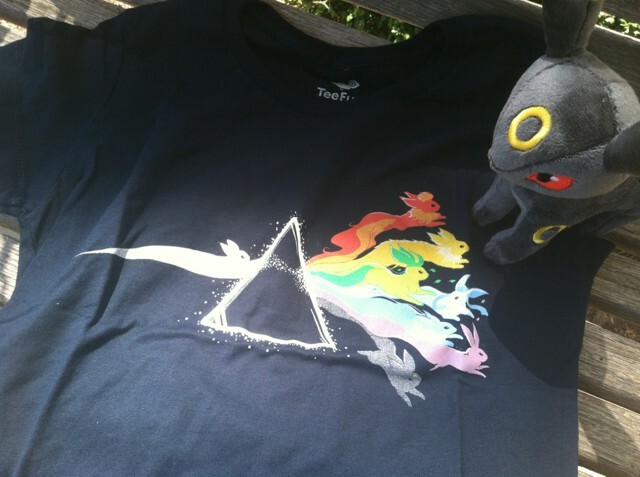 Oh Eeveelutions, why are you all so irresistible? 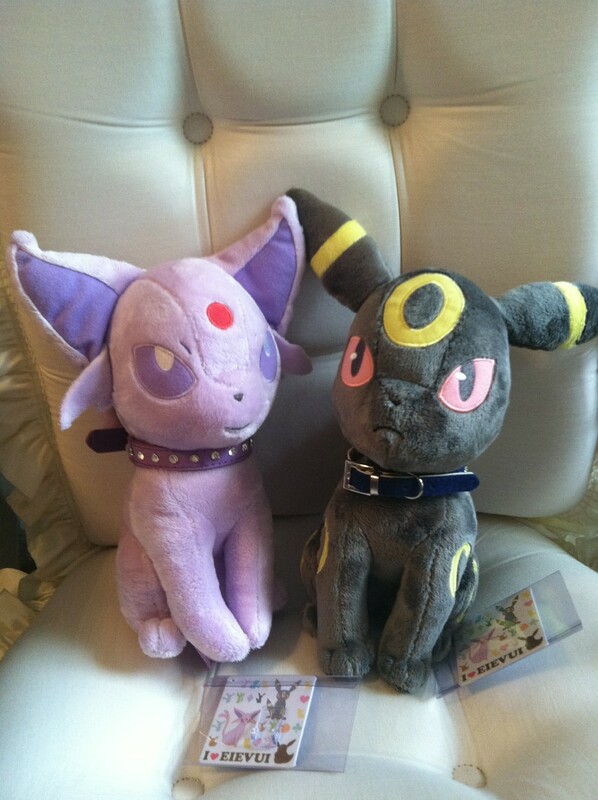 Although I've come to realize I don't yet have plushies of Sylveon (which aren't out yet so that makes sense) or Jolteon. I like Jolteon so I don't know why I have a plush of everyone else but poor Sparky. I guess now would be the time to get myself one! So cute! Thanks teefury! 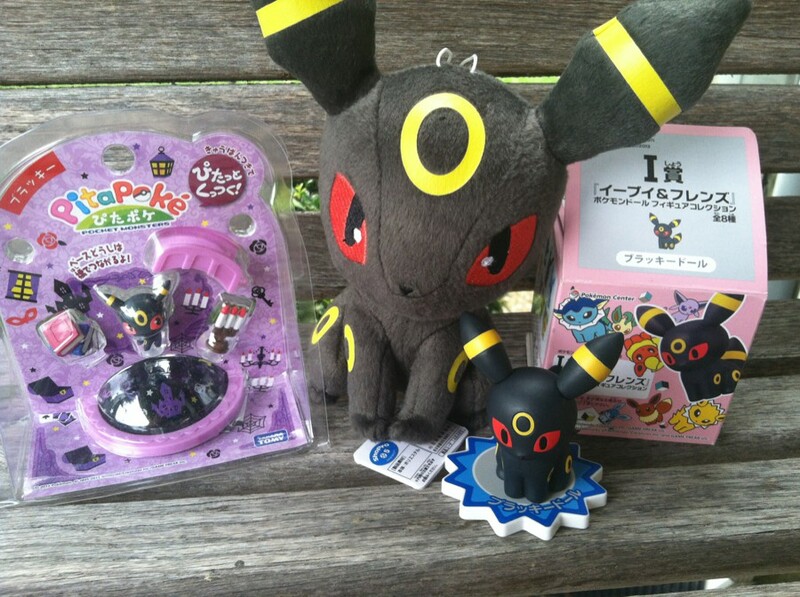 My Pokemon Center Umbreon wanted to inspect the new arrival.